In 1995, the Greater Oviedo Chamber of Commerce, through the leadership of President Glenda Conley, decided to develop a signature event for the chamber that would highlight the city’s rich cultural heritage. It was then that the Taste of Oviedo was born. The inaugural Taste opened for business on a gloomy spring morning on the grounds of the historic Lawton House, which formerly housed the chamber’s corporate offices. In fact, the inclement weather that day cast doubt as to whether the event would ever come to fruition. However, as the day wore on, the clouds dissipated and patrons began arriving. It is estimated that nearly 12,000 area citizens attended the first event, which featured 16 restaurants, 24 businesses and 14 artists displaying their wares. Various incarnations of the event have occurred over the past years. From venue changes to accommodate our ever-growing vendor requests, to the addition of top-notch entertainment and our beloved Kid’s Taste area, the Taste of Oviedo has witnessed tremendous growth and success, as has our community over the same time period. As the event celebrates its 22nd anniversary in 2016, the Taste of Oviedo continues to reflect all that has consistently made Oviedo a “Top 100 Place to Live” and a “Family Friendly” city through furtherance of the chamber’s mission of being an advocate for business and civic interests within our communities. 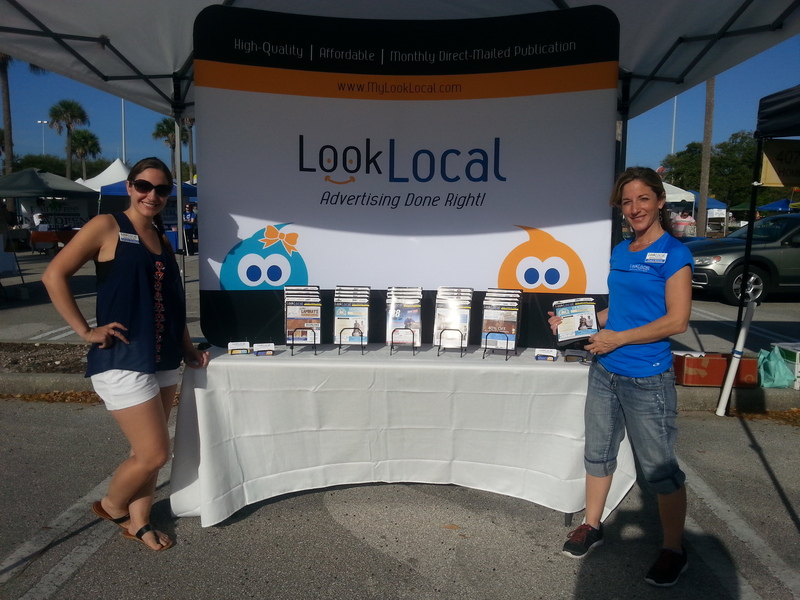 Since 2012, Look Local has been a proud sponsor of the Taste of Oviedo! In the months leading up to the Taste, residents of Central Florida communities are reminded of the event via well-designed ads in Look Local Magazines. We are pleased to contribute to the growth and success of this annual celebration, utilizing our broad distribution and loyal readership. 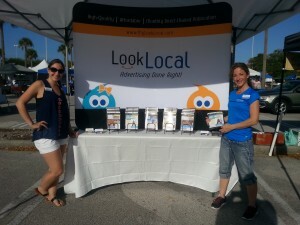 Each year, Look Local Magazine partakes in the festivities by promoting our magazines – and the advertisers within – by setting up a vendor booth. We provide additional exposure to our advertisers by supplying residents with the latest copy of our magazine. Plus, we always have 100% FREE gift card giveaways, which have been generously donated by our customers. Stop by our booth and you could win a free massage, week of summer camp, a gift card to a local restaurant or one of many other giveaways! The 22nd Annual Taste of Oviedo celebration will be held on Saturday, March 12th from 10am – 6pm at the Oviedo Mall. Come out and enjoy a day of local food, live music, craft beer, entertainment and the Kid’s Taste area. As always, admission is FREE! Make sure to stop by the Information Booth and pick up a copy of the 2016 Taste of Oviedo Event Guide, proudly produced by Look Local Marketing.